After a delay of more than three years, the NYPD body-camera pilot program has finally been introduced onto the streets. 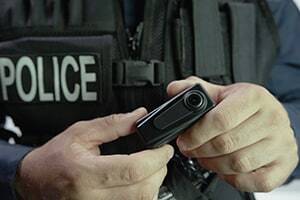 The delay in introduction of the program was the result of extensive debate as to when officers fitted with the cameras must record and when officers can use their discretion. The outcome is that officers must record all arrests and searches, as well as all encounters with citizens, whom they suspect of criminality. In addition, officers must announce that they are recording, unless the announcement will risk the safety of a person or hinder an investigation. Before being equipped with the cameras, NYPD officers will receive a day of training. All recordings will be kept for up to a year, but, controversially, only certain tapes will be released to the public. Officials hope that the body cameras will help to ease relations between minority communities and the NYPD. But many believe that the program gives the police officers and their supervisors too much discretion and will do little to reduce police brutality against New Yorkers. It remains to be seen if the pilot program is a success and how the NYPD will carry out the program in the future. If you have been the victim of police brutality, police misconduct, false arrest, or an illegal search, whether recorded on camera or not, you should contact the attorneys at Peterson Delle Cave LLP for a free consultation.